The Roomba 650 and Roomba 880; Which is Best Between the Two? The Roomba 650 and Roomba 880 are among the most sought-after Roomba robot vacuum cleaners in the market. If you are not sure of which vacuum cleaner to go for between the two, this Roomba 650 vs 800 comparison review will help you get value for money. It is worthy to mention that the Roomba 650 and Roomba 880 mark a serious transitional period in design. The 650 is the last Roomba to use the traditional bristle brushes which were substituted for rubberized extractors in the Roomba 880. 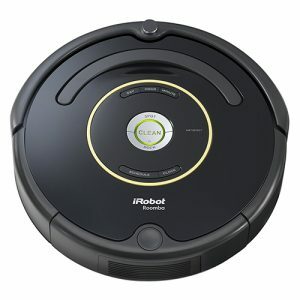 What Makes the Roomba 650 Similar to the Roomba 880? What Makes the Roomba 650 Different from the Roomba 880? What’s the Best Option between the Roomba 650 and Roomba 880? We have stripped down the Roomba 650 and Roomba 880, clearly discussing their similarities and differences, a move that is aimed at helping you make the ultimate decision on which cleaner will suit your needs. 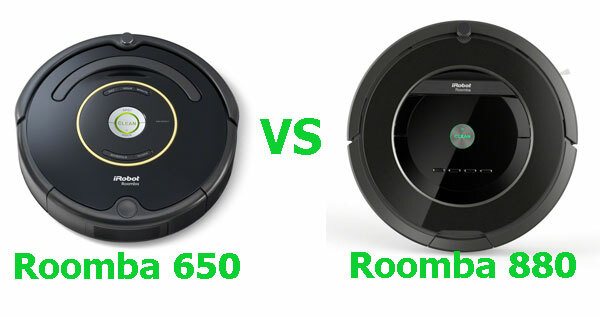 So, without further ado, let’s get straight to the review of the Roomba 880 vs Roomba 650. But first, a short introduction about the two robot vacuum cleaners. The Roomba 650 is a middle-tier robot vacuum cleaner in the Roomba series that is a bestseller because of its affordable price. Besides this, it packs a whole lot of sophisticated features that make it a high-performance and reliable cleaner. You can use it on floors and also works well for cleaning pet hair. Here are some of its pros and cons. All Floor Types – The Roomba 650 works on tile, hardwood, linoleum, stone and thin carpet floors. Versatility – You can use this vacuum cleaner for floor cleaning, carpet cleaning as well as pet hair. Excellent Cleaning – It uses the renowned and efficient 3-Stage Cleaning System with Dirt Detection. 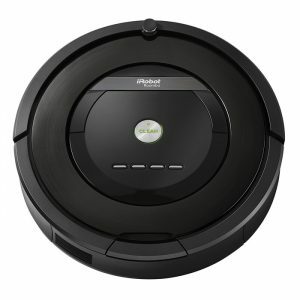 Affordable – This cleaner is very cheap compared to other Roombas. Old Brush Technology – This robot vacuum still uses the old bristle brushes which were replaced by more effective rubber extractors. Average Suction Power – This robot vacuum cleaner has average suction power compared to later models that have 5x more power. Bottomline – Even though the Roomba 650 has average suction power and has an old brush system, it is still a superb vacuum cleaner. I would recommend it to anyone looking for a Roomba on a budget. Like earlier mentioned, the Roomba 880 marks a significant shift in the Roomba’s design. It features an all new rubber extractor design that is more effective and efficient. However, it is quite expensive, but again, expensive for a reason. Here is an overview of its advantages and disadvantages. Rubber Extractors – The new rubber extractors are more effective and efficient. Advanced Dirt Detection – This cleaner has the Advanced Dirt Detection system that finds where dirt is concentrated more efficiently. Powerful Suction – The 880 has a powerful motor that delivers 5x more suction power. Quite Pricey – Retailing at over $600, the Roomba 880 is quite expensive. Bottomline – The Roomba 880, though very expensive is a superb cleaner. It can be used on all floor types, carpets and even in cleaning pet hair and allergens. Now that we know a few things about the Roomba 650 and Roomba 880, its time we get into the details. We will discuss in details what makes them similar and thereafter, what sets them apart. These two robot vacuum cleaners have all been manufactured by iRobot and are in fact in the Roomba series. For this reason, it is obvious that they will have several similar features. In this section, we will look at the features that make the Roomba 650 and Roomba 880 similar. A good robot vacuum cleaner should have a low-profile design to enable it to get under household furniture. Remember, this is very important as dirt hides mostly under beds, sofas, kickstands, around chair legs and so on. Both the Roomba 650 and Roomba 880 stand at 3.6-inches. However, this is not very commendable considering other cleaners from Neato and iLIFE have lesser heights. One feature that has remained constant over the years is the cleaning system. All of the Roomba’s use the native 3-Stage Cleaning System. This system cleans in three distinct stages; agitation, brushing and suctioning. There is also a spinning side brush that cleans wall edges and deep corners. Both the Roomba 650 and Roomba 880 use this cleaning system. However, expect better results with the 880 as it uses new rubber extractors as opposed to bristled brushes. iRobot has been long known for it superior navigation systems, particularly in the Roomba series. Right now, there are two technologies; iAdapt navigation found in older models and the more advanced iAdapt 2.0 with Visual Localization that is in the 960 and 980. The Roomba 650 and Roomba 880 fall in the older models and both use the native iAdapt 1.0 navigation system. However, there are a few tweaks that make them negligibly different. With the 650, the cleaner doesn’t slow down when it detects obstacles. However, the Roomba 880 does so. Scheduling is a convenience feature that lets homeowners program their cleaners to embark on cleaning at specific times. This feature is common in almost all vacuum cleaners out there. It is also available in both the Roomba 650 and Roomba 880. This function allows you to program your robot cleaner for 7 days straight thus giving you the freedom to concentrate on other day-to-day activities. There’s one thing that robot brands aim at, convenience. Robot appliances should offer owners convenience and one of the tenets of convenience is self-management. Most vacuum cleaners have docking capabilities. Perhaps the most important thing about docking is power management. Both the Roomba 880 and Roomba 650 have self-docking, a feature that allows them to manage their power independently. Whenever they run out of charge, these two cleaners will locate the Home Base and go there automatically for recharge. Once they are full, they will also resume cleaning autonomously. Dirt Detection is a technology that uses optical and acoustic sensors to detect where there’s more dirt in your house. Both the Roomba 650 and Roomba 880 have this technology and greatly help them boost their efficiency. Even though the Roomba 650 is so similar to the Roomba 880, they are quite different. The Roomba 880 has more advanced features that make it superior and consequently, more expensive. Here are the main differences between these two robot vacuums. When it comes to filtration, the Roomba 650 and 880 use two different technologies. The Roomba 650 uses the old AeroVac filters that are not so efficient compared to newer filtration systems. On the other hand, the Roomba 880 has the more advanced and efficient HEPA filters that can filter out very small particles including allergens. This makes the Roomba 880 ideal for allergy sufferers. Another thing that makes these two vacuum cleaners different is their suction power. In particular, the Roomba 880 delivers up to 5x more suction power than the Roomba 650. In its design, the Roomba 880 has an airflow accelerator which creates a sealed vacuum channel that concentrates the airflow thus sucking in more dirt and debris. Like earlier mentioned, these two vacuum cleaners have different debris extraction mechanisms. The Roomba 650 uses dual multi-surface brushes that loosen dirt and the other one picks the loosened dirt. On the other hand, the Roomba 880 has a rubberized tangle –free extractor that is more effective and efficient. Boundary marking is a pretty new technology that is aimed at restricting the Roomba from reaching certain areas in your house. Besides, it enables multiroom cleaning. The Roomba 650 has been engineered with Virtual Walls while the Roomba 880 has Virtual Walls with Lighthouse. It is important to note that between the two, Virtual Walls and Virtual Walls with Lighthouse, the latter is the best! If you have two or fewer rooms to clean, then the Roomba 650 will be suitable as it doesn’t have multiroom cleaning. The Virtual Walls can help you keep the Roomba in one room until it finishes cleaning before allowing it to the next. However, for those with more than two rooms, then the Roomba 880 is most suitable as it has multiroom navigation for multiroom cleaning. This is facilitated by the Virtual Wall Lighthouses. In the Virtual Wall mode, you can keep the Roomba 880 in a single room until it finishes clean. In the Lighthouse mode, the cleaner will be confined in one room and then sent to the other once it finishes. You can do this for up to 3 rooms simultaneously. Another difference between these two vacuum cleaners is their battery. Even though their runtime is almost the same, the Roomba 880 has a new battery technology approach. The 880 has the iRobot® XLife™ Extended Life Battery. This battery’s technology ensures twice as many cleaning cycles that guarantee long battery life before needing a replacement. The Roomba 650 costs less than the Roomba 880. So, what’s the best vacuum cleaner between the two? This must be the question that is lingering on your mind. Perhaps the only consideration that will give us an answer to this is when we look at features and price. It is self-evident that the Roomba 880 is superior in terms of features. It has 5x more suction power and HEPA filters that make it a great vacuum cleaner for carpets, pet hair, and allergens. Besides, it has a remote control, Virtual Walls with Lighthouse, among many other great features. On the other hand, even though the Roomba 650 can’t fully match the Roomba 880, it is still endowed with some great features. It is ideal for all floor types and offers impressive performance on carpets and that is why its is among the best vacuum cleaners for carpets. What gives it a major boost in this battle is its price. It costs almost half the price of the Roomba 880. Verdict – If you want performance, then the Roomba 880 is what should top your wish list. However, for those on a budget, the Roomba 650 is still not a bad choice.